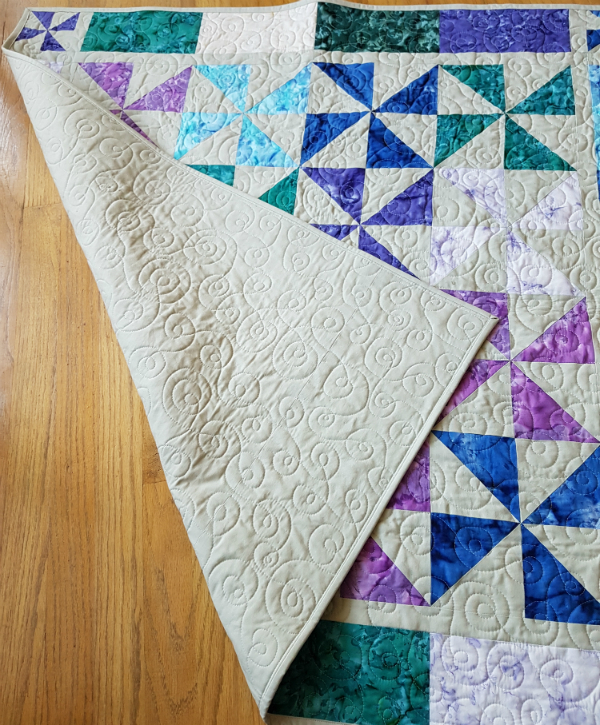 I can finally share my Pinwheel Square quilt, which is in the spring issue of Quilter's Connection magazine 😊 Pinwheels have long been one of my favourite quilt blocks and I loved making this simple baby quilt with an abundance of pinwheels. Pinwheel Square finishes at 42" x 42". Pinwheel Square is made with batiks from RJR's Blossom Batik Geodes line along with a beautiful greenish grey solid. I love the jewel tones and marbled look of the batik fabrics. 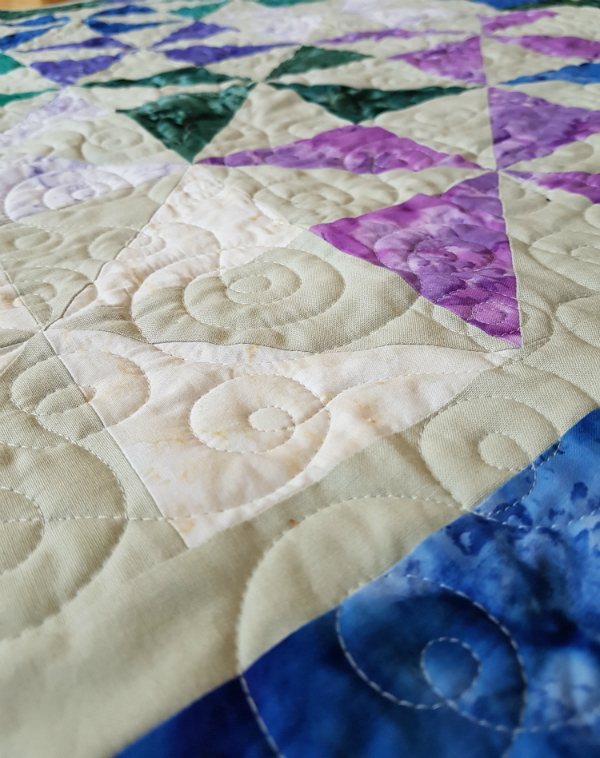 I backed the quilt with the same solid grey and quilted it with all-over echoed loops. 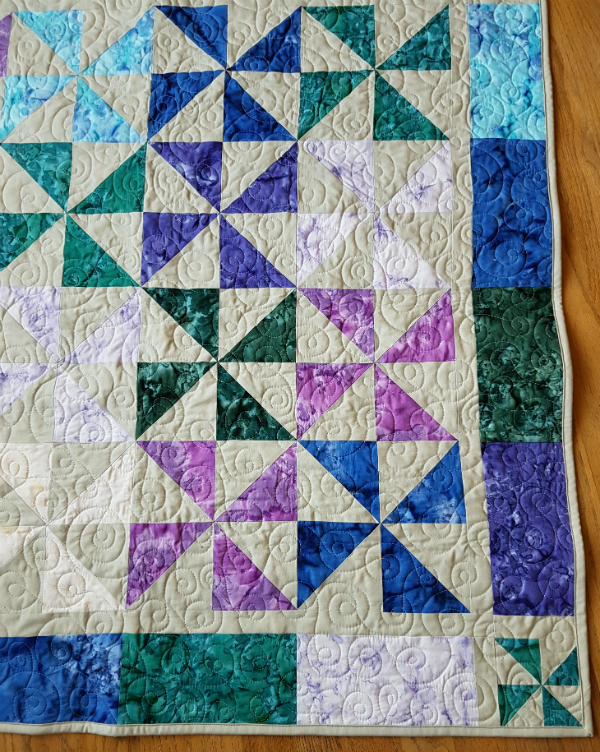 I love how quickly those loops stitch up and I love the texture they give to a quilt. The spring issue of Quilter's Connection magazine is available on newsstands now, or visit their website to order your copy. 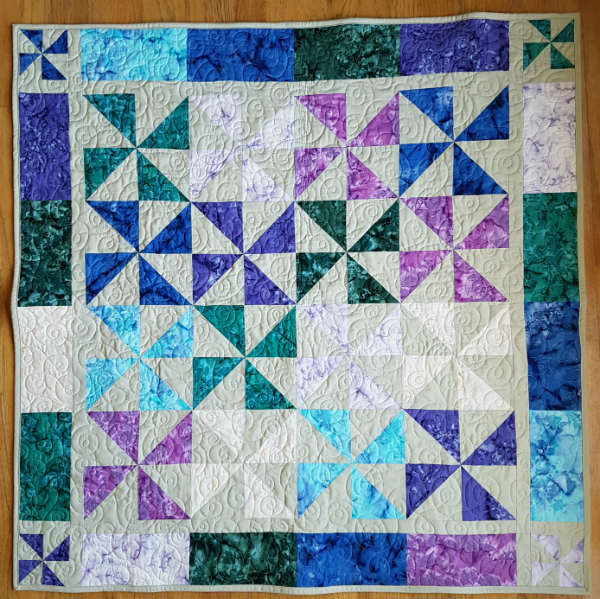 What a fun baby quilt, and congratulations on another publication! 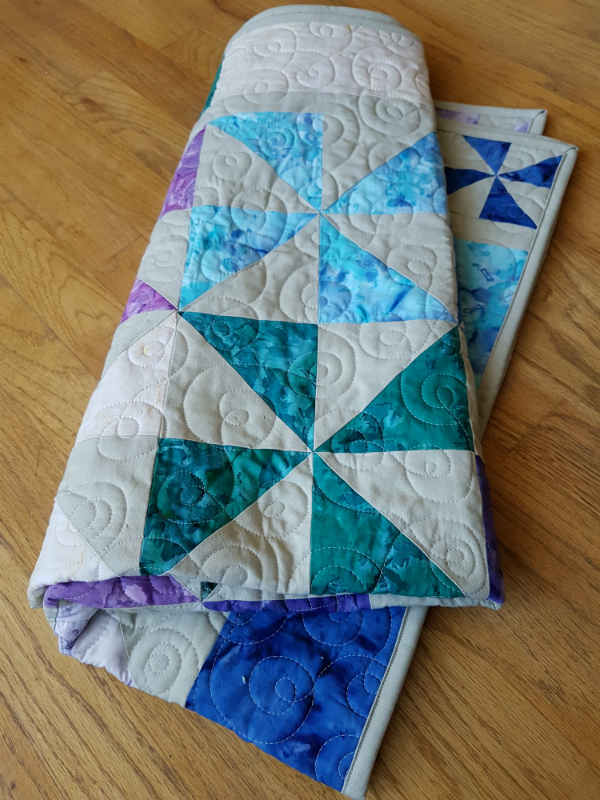 It's a beautiful palette and your quilting is delightful. Congratulations on the publication. Thanks for linking up to TGIFF. Congratulations. I always forgot how nice pinwheels are. That's such a bright and happy quilt!